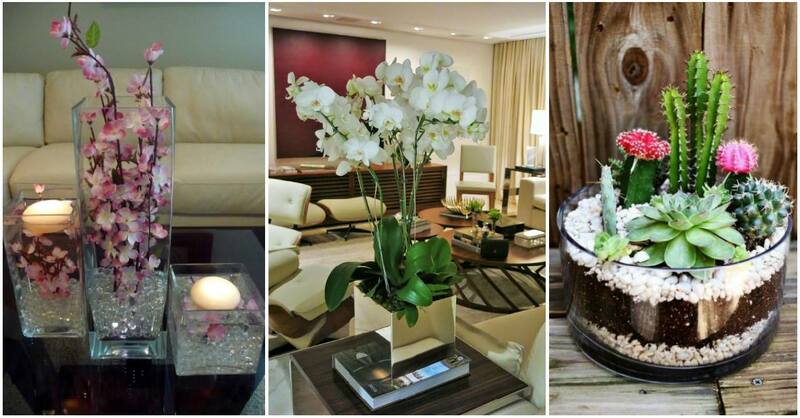 12 ideas for center-pieces that will make your home, party or meeting fabulous. Beautiful and easy to do! The combination of different materials, textures and colors can give you the best center-pieces for your desired wedding or birthday party, although we know that these will always end up decorating a corner, that’s why they need to be perfect. Reflect your essence in the decoration of your banquet according to the style you are looking for. Check out these ideas! 4. For lovers of dorado. Perfect combination for pink roses! 6. Pretty rustic. Perfect for outdoor environments! 9. A dozen gannets inside a glass container with stones in background. Beautiful and easy to recreate! 12. Did you ever think of lemons with roses for a centerpiece? Its smell which mixed citrus with roses is exquisite! 12 great ideas to paint and make textures on the walls without spending a lot of money. They will be very useful! 8 models of iron gates that you can adapt to entrance of your house. So beautiful and safe!